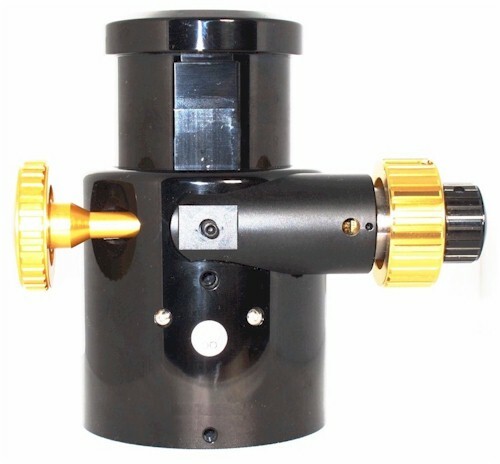 These MOTOFOCUS units all use miniature motors. 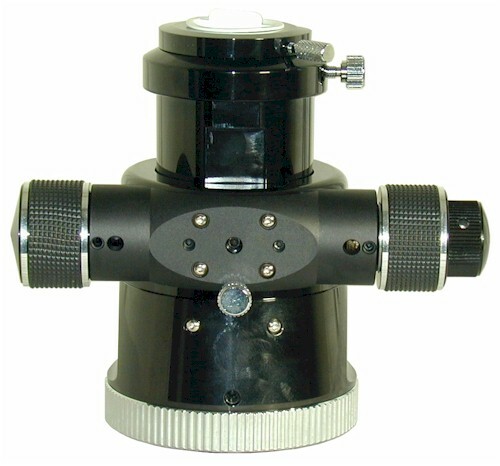 GSO / William Optics 2" Focusers including SCT and Maksutov Cassegrain focusers, Newtonian focusers, Dobsonian focusers (Meade LightBridge) and original-style replacement focusers for Synta-made refractors (Sky-Watcher, Celestron, Orion and more). 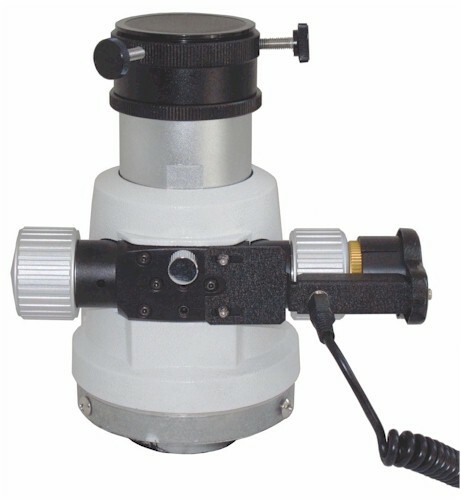 NOTE: There has been a lot of confusion between GSO (Guan Sheng Optical Co. Ltd. in Taiwan) and William Optics focusers and their differing configurations. Where the focuser has been used consistently on a particular telescope (such as the Meade LightBridge series) the focuser can be identified by the telescope. 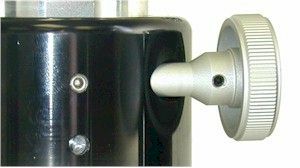 In other cases, one may need to look at identifying characteristics of the particular focuser in order to purchase the correct MOTOFOCUS unit. Several of these configurations are described here. (Due to many manufacturing variations, this information may change at any time.) 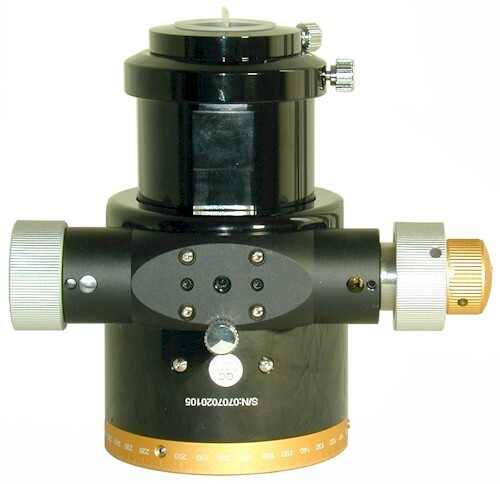 To be sure that you get the correct MOTOFOCUS for your Microfocuser equipped GSO/WO focuser, you can email a picture of the focuser from the rear or drive block side, including the whole focuser in the picture. See Figure One and Figure Two (below) for an example, but be sure to take the picture of the whole focuser. THE BOTTOM LINE: Due to the pervasive confusion about Make and Model for these focusers (we admit it, WE are confused! 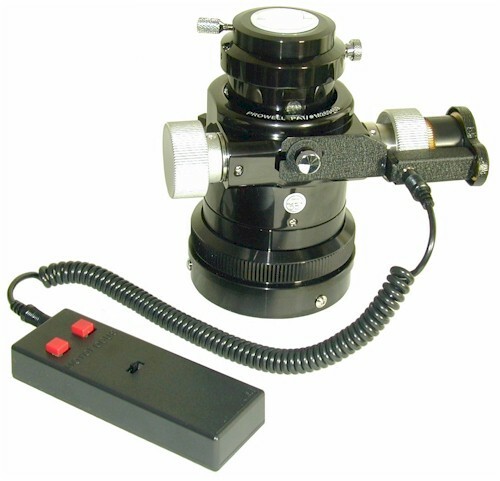 ), we recommend that you only use the drive block configuration pictures (below) to verify that you are purchasing the correct MOTOFOCUS unit for your focuser. Please look at ALL configurations before making a decision. Make, model and other description information is only a rough guide. NOTE: See pictures of the various configurations below this summary chart. 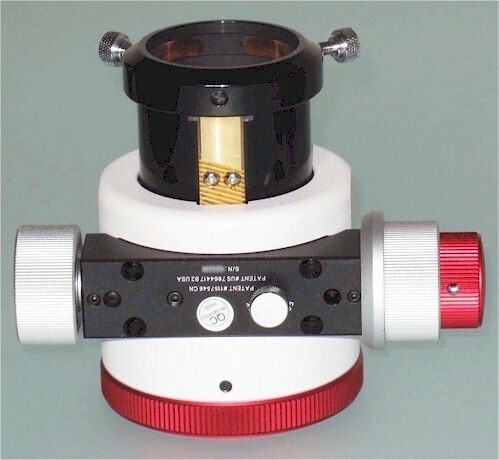 To be sure that you get the correct MOTOFOCUS for your Microfocuser equipped GSO/WO focuser, you can email a picture of the focuser's drive block from the angle shown in Figure One and Two (below), including the whole focuser in the picture. We may request measurements of certain parts of your focuser. 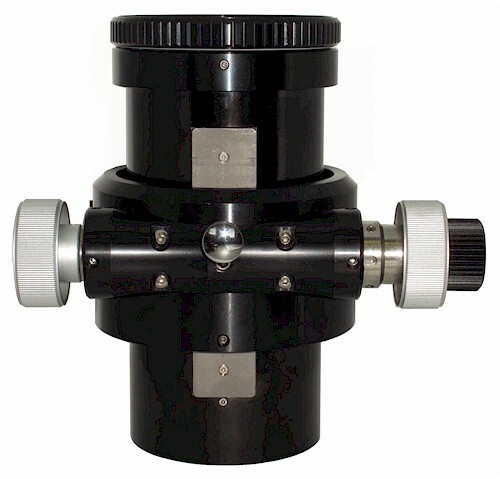 In some cases, we may need to have you ship your focuser to us in order to verify the configuration and/or complete your order. 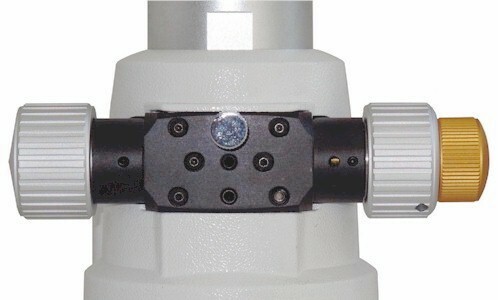 Configuration ONE (see Figure ONE) has a focuser tensioning screw that is directly in line with (not above) the drive shaft and a brake screw below the drive shaft. 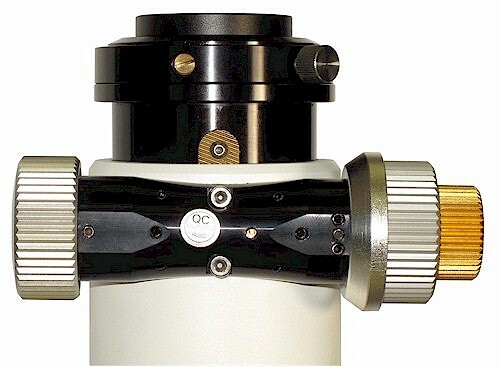 Configuration TWO (see Figure TWO) has a focuser tensioning screw above (not directly in line with) the drive shaft and a brake tensioning screw below the drive shaft. Check the pictures (Figure THREE) below (click to enlarge) to verify if you have configuration THREE. 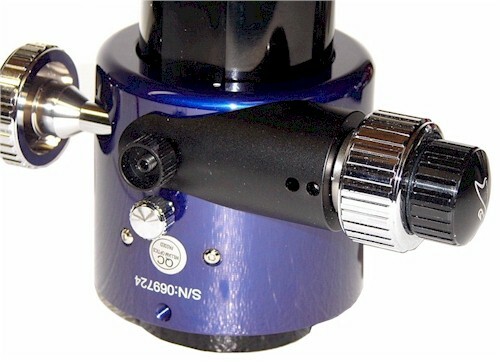 Notice the positioning of the thumb screws (as explained above), the shape of the Microfocuser housing and the type of slow-speed knob. 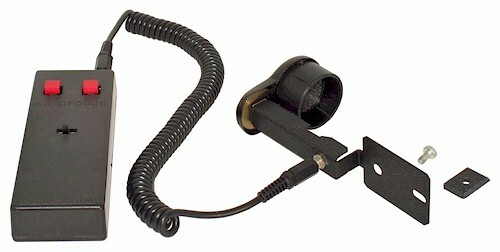 The MOTOFOCUS unit slips over the slow-speed knob. We have seen both black and purple versions. 1) The tension and brake screw alignment (see above). This configuration matches Figure One above. 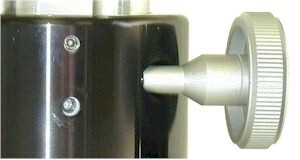 2) The diameter of the slow-speed knob (identified by the knurling of the adjacent knob?). Compare with the picture below. 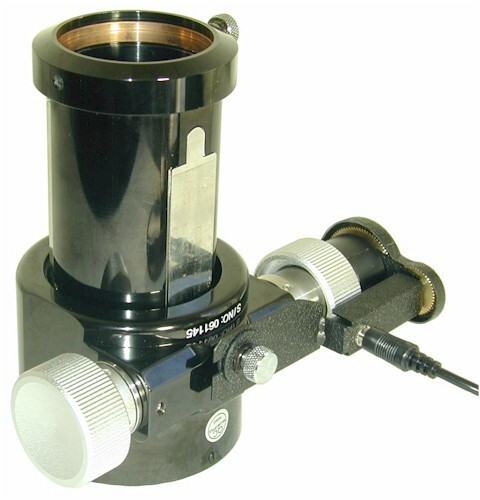 3) The shape of the Microfocuser housing (rounded or flat). 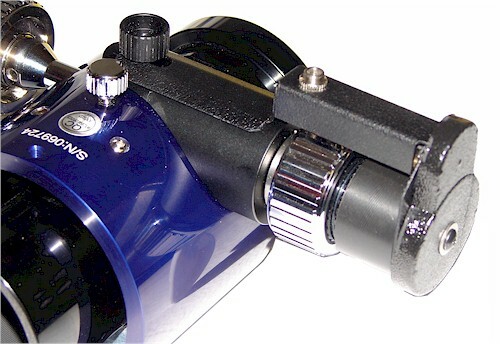 This configuration is rounded. The GSO Dual-Speed Focuser used on the Meade LightBridge Telescope is configuration FOUR (see Figure FOUR). 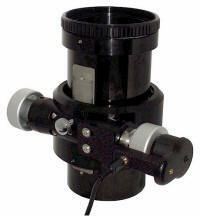 Please note that the single-speed focuser used on the Meade LightBridge Telescope should match configuration TWO above. 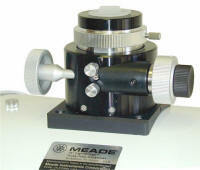 The following pictures (Figure FIVE) show the replacement focuser for Synta Refractors and the focuser used on the Megrez 90. Some FLT focusers may match this style (undetermined at this time). 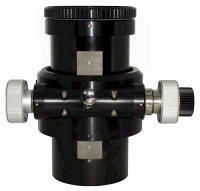 These focusers are designated as configuration FIVE. The following picture (Figure SIX) shows the focuser used on the Megrez 110. 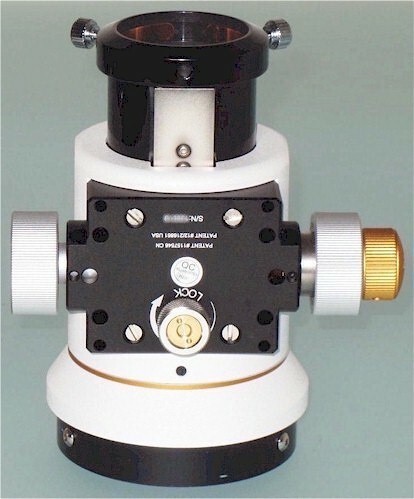 The following picture (Figure SEVEN) shows the dual-speed Crayford focuser used on the Sky-Watcher Equinox 80 / 100 / 120 Pro ED. 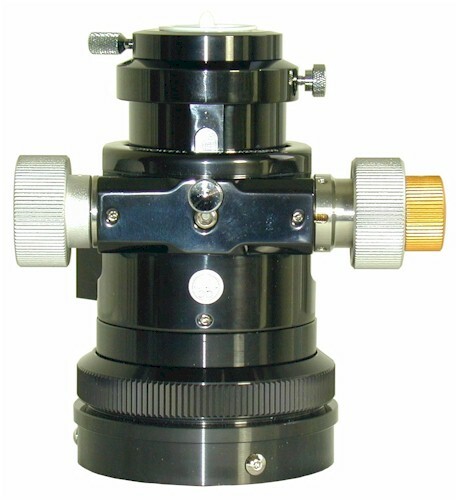 The following picture (Figure EIGHT) shows the dual-speed Crayford focuser used on the William Optics ZenithStar 110mm APO. The following picture (Figure NINE) shows the dual-speed Rack-and-Pinion focuser used on the William Optics Star 71. The following pictures (Figure EON) show the Orion EON 130 ED Crayford Focuser.